Schools are not the only places where children should be protected against a violent death. Our hearts and prayers and hopes for peace go out to innocent lives, and innocence, lost in the latest school shooting, this time in picturesque Newtown. If nothing else, it serves to remind us that there is such a thing as evil in the world. Those who insist that "it's people, not guns, that kill" find it harder with each massacre to respond meaningfully to the reality that guns amplify our evil streaks. There are renewed “calls for a national conversation on America’s culture of guns and violence” but a sense of the right to a “well regulated militia” and “to keep and bear arms” under the Second Amendment runs deep in the US national psyche. The powerful gun lobby will ensure that this right will continue to trump that of parents to be free from fear for their children’s lives in the next rampage. In the last US elections, both candidates dropped their support for limited gun controls “in the face of polls showing widespread support for the right to carry guns”. There are the usual indignant voices in the progressive media. In a July 2012 radio interview, New York City Mayor Michael Bloomberg confronted the presidential candidates on gun control. And in an opinion piece this week asking “Do We Have the Courage to Stop This?”, New York Times columnist Nicholas Kristof wrote: "As with guns, some auto deaths are caused by people who break laws or behave irresponsibly. But we don’t shrug and say, 'Cars don’t kill people, drunks do.' Instead, we have required seat belts, air bags, child seats and crash safety standards.” In other words, a pro-choice stance on guns kills. This exposes a stark inconsistency in the ideological fabric of modern liberals, who for the most part believe that legitimate choice is the right to "do what we bloody well please as long as it doesn't hurt others". Their pro-choice sacred cow is a non-negotiable right to abortion. Each year, 800,000 babies are killed in the US in the name of choice, more than ten times the number of lives lost to gun violence and auto accidents combined. 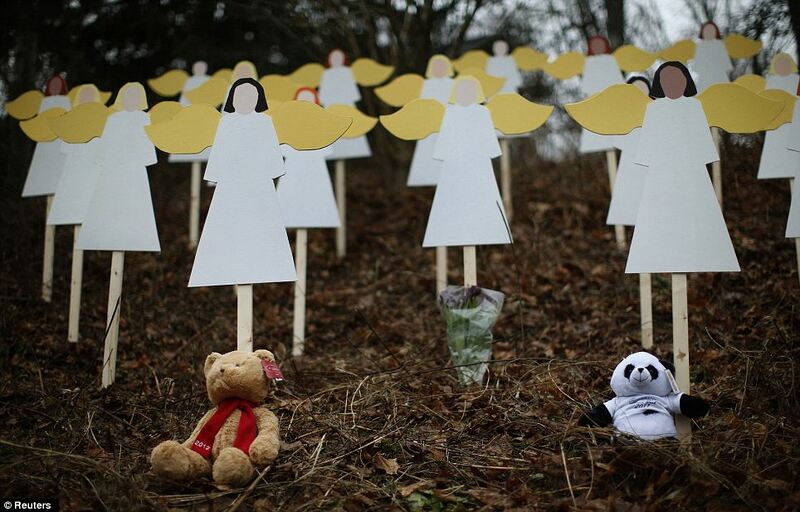 In Australia, the six- and seven-year-olds who died in Sandy Hook Elementary School would have been called infants, and their murder would have been infanticide. President Obama, like everyone else, felt the pain of these deaths: “Can we say that we’re truly doing enough to give all the children of this country the chance they deserve to live out their lives in happiness and with purpose?” His words apply with a tragic irony to the victims of an abortion culture that he, more than any other US President, has helped to promote and facilitate. Infanticide, whether it happens in a mass shooting or abortions, including their logical corollaries of partial-birth abortions and after-birth abortions, are signs of an underlying decadence of permissiveness. An inflated sense of personal autonomy has taken root in the popular culture at the expense of public morality. Where does legitimate choice end and a nanny state begin? Road traffic rules may be designed for our (as in the driver’s) own safety or for the safety of others, but it's not all of one and none of the other. While auto accidents can be seen as a price we pay for the freedom to drive, some drivers put personal autonomy above all else and behave irresponsibly if they can get away with it. In a climate of road-rules relativism, this attitude becomes so common that traffic accidents grow to alarming proportions. The solution is not more licentiousness but education and enforcement. Traffic rules that have been unduly diluted should be revisited to promote a culture of prudent driving. This is the moral paradox at the heart of America’s battle over gun control. The argument for banning guns is that the legitimate choice of gun owners must yield to the imperative of protecting children from the violence of madmen and criminals. The argument for not banning abortion is that the legitimate choice of women to do violence to children trumps the right to life. There is a great fog over the issue of choice. Until Americans agree on the limits of personal autonomy, gun control will remain an unattainable dream. Tim Lee is MercatorNet’s comments editor. This article is published by Tim Lee and MercatorNet.com under a Creative Commons licence. You may republish it or translate it free of charge with attribution for non-commercial purposes following these guidelines. If you teach at a university we ask that your department make a donation. Commercial media must contact us for permission and fees. Some articles on this site are published under different terms.